Horace James Huntley was born November 9, 1888 to Elizabeth and James Huntley in Downhead, Somersetshire, England. He homesteaded in Cochrane Township and later farmed in East Nissouri and North Oxford Townships. Horace took his Oath of Attestation on September 4, 1915 in Ingersoll, Ontario. He was enrolled in the 71st Canadian Infantry Battalion. He sailed from Halifax on April 1, 1916 on the SS Olympic and reached England on April 11. On the voyage he developed diphtheria and was rushed to Seaforth Military Hospital Isolation Ward. He was discharged on April 29 and sent on sick leave until May 16, 1916. Shortly after his return from leave, he was posted to the 44th Canadian Infantry Battalion, then preparing to go to France with the 10th Infantry Brigade in the 4th Canadian Division. He crossed the English Channel on August 10 en route to the Ypres Salient with the 44th Battalion. After routine tours in the front lines in France they took part in the Battle of the Somme. On November 20, he developed trench fever and was returned to England to York Military Hospital on the 30th. 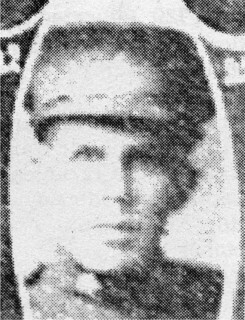 By spring he was fully recovered and on May 1, 1917 he was transferred to the 18th Battalion, then serving in the 2nd Canadian Division. Six weeks later, on June 21 he was posted back to his home unit, the 44th Battalion. He was with the same Battalion at Hill 70 and Lens 15-25 in August and went with them to Passchendaele in late October where he was killed by German machine gunners. He is buried in Passchendaele New British Cemetery in Belgium. He was survived by his parents of Leigh-on-Mendys near Bath, Somersetshire, England, brother Harold and a sister Ida. By the terms of his will, Mrs. Huntley received all of his estate except for his half of 160 acres in the Township of Cochrane which was left to Ida. -- Courtesy of St. Marys Journal Argus.